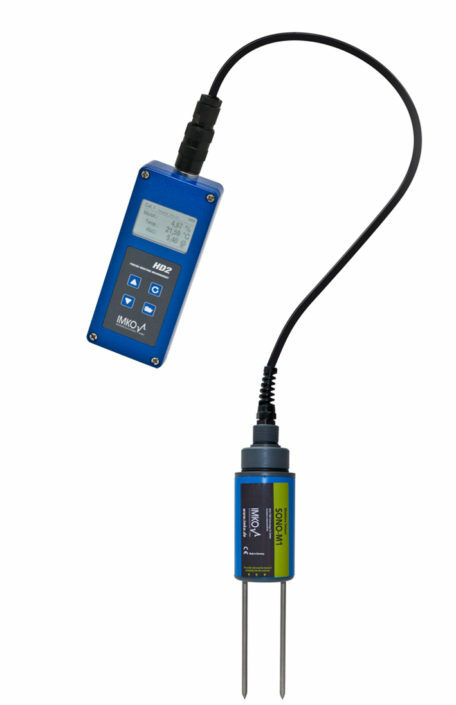 The intelligent rod sensor PICO64 is ideal for monitoring systems that determine soil moisture, temperature and electrical conductivity in soils and other porous materials. The integration of a probe and TDR evaluation electronics is unique so far. 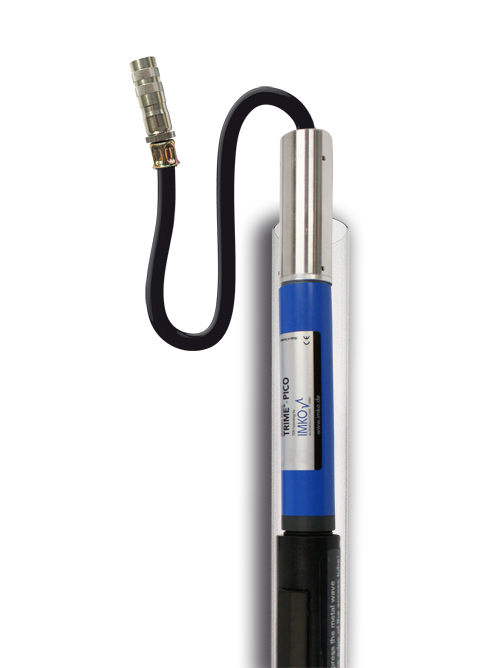 Our TRIME TDR probes measure soil conductivity, moisture and temperature on a volumetric Basis. 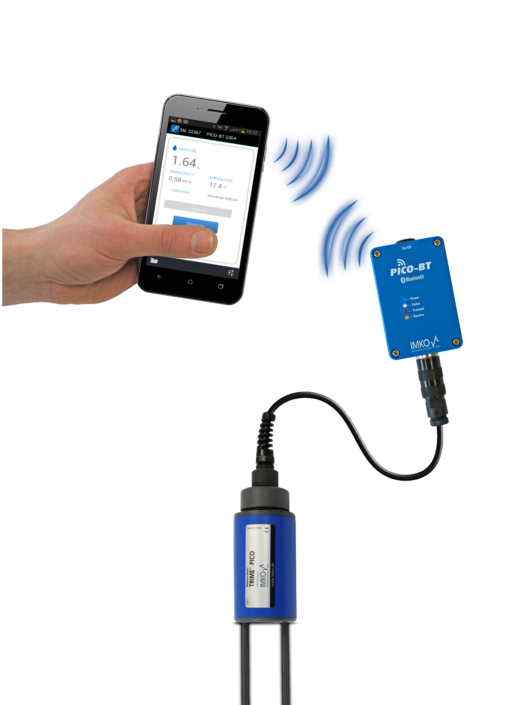 It determines the salinity in mg salt per Liter water for different soils at varying levels of moisture without complicated laboratory measurements. Because of the mechanical robustness TRIME-PICO64 is optimal for mobile usage with our Bluetooth module PICO-BT or the robust hand-held meter HD2.